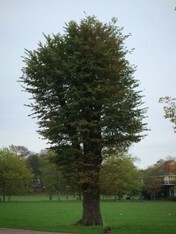 What's happening to our Elms? One of the major ‘tools’ supporting the local Elm programme has always been to avoid pruning works during June to September when the Elm Bark Beetles (Scolytids) are at their most active and seeking both moribund trees as a potential breeding site or new lush growth for newly emerged beetles to feed on. The latter is particularly important in the control programme as the open feeding grooves made by the new emergents become the means for fungal spores to enter the tree and potentially claim another victim. When Elms are pruned the open pruning wounds release a number of chemicals with some, for example cubebene, acting as a specific attractor to Scolytids thus allowing them to target Elms by following the chemical plume released by pruning. I note from the City’s figures that Disease losses remain relatively low to date this season with no major individual trees lost from the landscape. 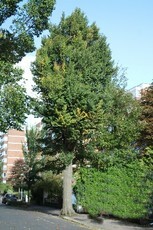 Some residents are still surprised that Elm Disease still claims the lives of trees locally given the success of the Control programme over so many years but since the epidemic of the late 1920s and subsequent epidemics caused by an evolving fungus the disease potential has remained endemic. The major factor is that it is not possible to entirely eradicate the Elm Bark Beetle that provides the means for the fungal spores to enter the tree and that pockets of infected tree may exist in remote locations or even in back gardens where they are not easily detected. In fact this year it seems that many of the diseased trees detected have been found in private gardens and the owners will benefit from having these removed at the City’s cost as a vital part of the Control Programme. Thanks should be given to inspecting officers for their diligence.